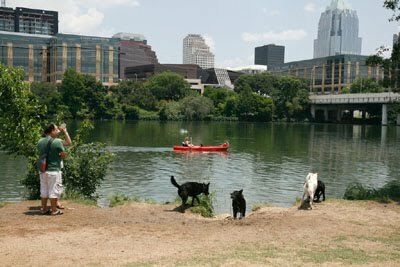 austindogandcat.com: There's still time to conceive, create costume for this year's Pet Parade at Jo's. 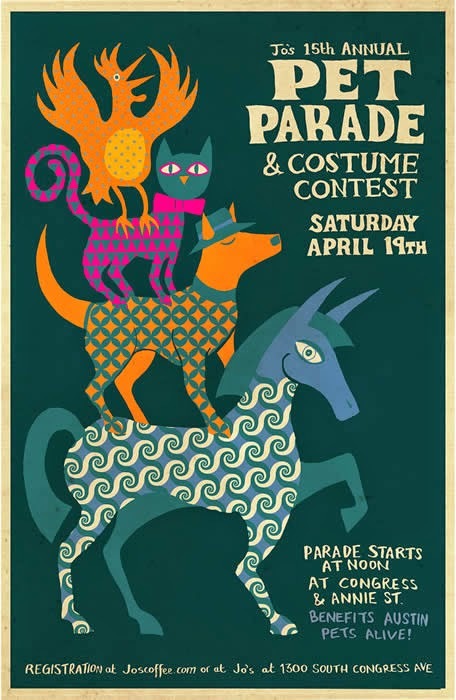 There's still time to conceive, create costume for this year's Pet Parade at Jo's. There are no rules, dress your pet up in something cool. The funkier the better! The costume contest is limited to 30 participants, so register early! There are no rules, dress your pet up in something cool. The funkier the better! The parade begins at Noon on April 19 at Hudson’s Meat Market (1800 S. Congress). We will march to the Jo’s parking lot for a promenade in front of the judges and then each of you has a chance to show off individually. Prizes include a night at the Hotel San Jose! Registration – Fill out this form online. Pre registration cost is $10.00. Must be done by Friday, April 18. All proceeds benefit Austin Pets Alive!